Salem Regional Medical Center (SRMC) used the MEDRAD® MR Smart injector with contrast dose management software to streamline workflows, increase reporting accuracy and improve documentation consistency by automating once-manual processes. 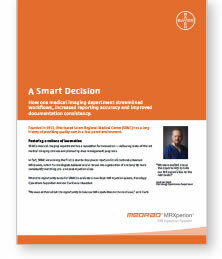 In this case history, discover how contrast dose management, according to SRMC Radiology Operations Supervisor Andrew Clark, "not only helped ensure that MR study documentation was complete, in our experience it made it more accurate." 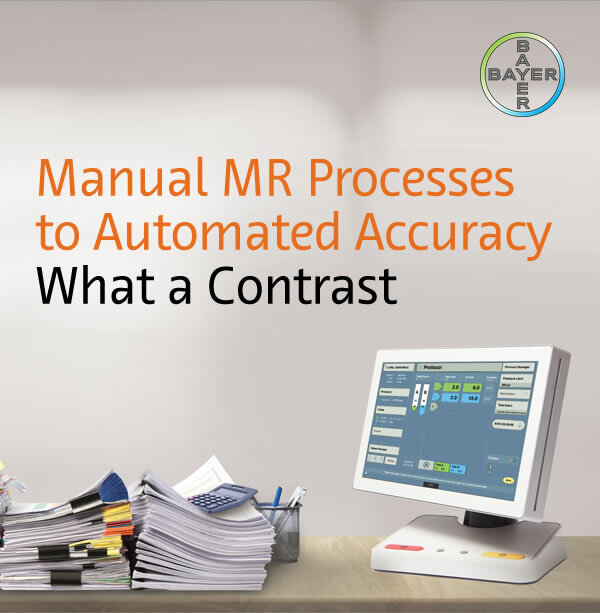 Learn more about contrast dose management's measureable impact on SRMC at CDM.bayer.com. Bayer, the Bayer Cross, Radimetrics and MEDRAD MRXperion are trademarks owned by and/or registered to Bayer in the U.S. and/or other countries. Other trademarks and company names mentioned herein are properties of their respective owners and are used herein solely for informational purposes. No relationship or endorsement should be inferred or implied. © 2018 Bayer. Bayer HealthCare LLC, 100 Bayer Boulevard, P.O. Box 915, Whippany NJ 07981. This material may not be reproduced, displayed, modified or distributed without the express prior written consent of Bayer. This message is brought to you by the Pharmaceutical Division of Bayer. • Do not reply to this email as it was sent from an unmonitored account. • Unsubscribe from the Breaking News. • Email sent to: .